None of the trees were there in 1865, most of the gravestones seemed to still be there, although the graveyard was overrun, there’s a house that isn’t there any longer, but you can see the hint of the church steeple poking over the house in the original shot. That’s still there. The canal is completely dry and there’s a tunnel through the mountain. The bridge doesn’t exist anymore, either. 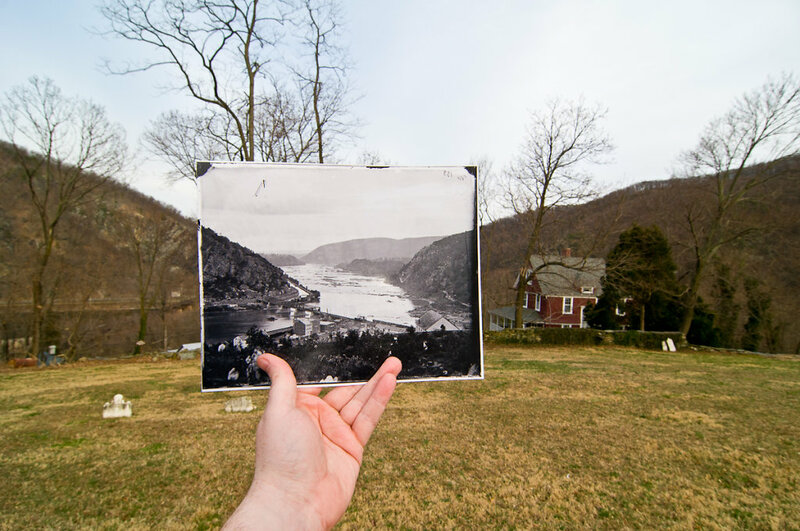 All in all, I’d say there isn’t much left from 1865 Harper’s Ferry, honestly.